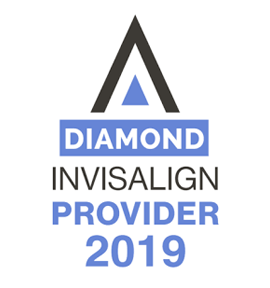 Before you start orthodontic treatment it’s important that you see a Specialist Orthodontist that has undertaken significant training in this field. It is unfortunate that many dental practitioners these days are claiming to be orthodontists, when in fact they are dentists without specialist training. Dentists are trained and qualified to look after the everyday health of your teeth, and most of them do a great job. Those that overstep this boundary into the realm of teeth straightening, however, could put your dreams of a perfect smile at risk. Think of straightening your teeth just as you would any other corrective procedure. You wouldn’t entrust your GP with the task of straightening your nose: likewise, your dentist shouldn’t be the one to straighten your teeth. One reason that some people will be tempted to use the services of a dentist to perform orthodontic procedures is the apparently lower price – but it’s worth bearing in mind that this can be a false economy. It always pays to get a second opinion from a Specialist Orthodontist because this really is a procedure that you want done properly. You can still go back and see the general dentist if you decide that you’re happy with their cheaper alternative – although quite often, in the long run, it can be more expensive. At Brace5 we have seen many dental disasters resulting from orthodontic treatment carried out by non-specialists, and unfortunately, by that point, it’s too late to be corrected. To get a second, or first, opinion from a Specialist Orthodontist with 30 years’ experience, make an appointment with Dr Johhn Mamutil today.